My favourite way to start the day is with a juice. The nutrition benefits of juice are huge and by picking the right fruit and vegetable, can be cheap to make and require virtually no preparation, which we all love, right! It is always best to have juice on an empty stomach and without other food, so that the body receives all vitamins and nutrients within the juice. On days I have a juice for breakfast, I will have my juice before leaving home at about 7:30am and then I will take an on the go snack bar to have at about 9:30am as I start to get hungry. 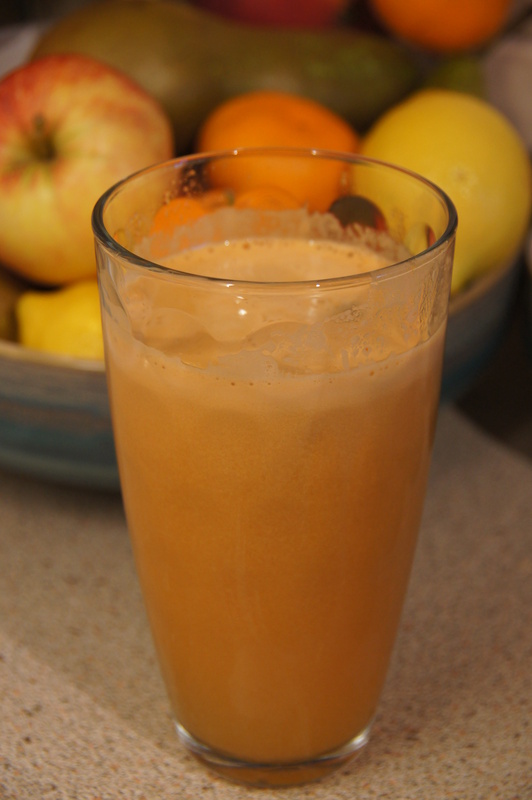 I always start my juices with a base of either apple or pear and sometimes both. Apple is a great cleanser and immune booster, while pear is ideal for those with diabetes or dieting as it causes a slow but steady increase in blood sugar levels. Carrot is a true energy food and good for digestive health and cucumber is the best-known diuretic to help flush your systems through. Adding a little ginger not only adds flavor but is fantastic for fighting off colds, especially during the winter months. Simply place all the ingredients into the juicer and voila. Enjoy with a few ice cubes. 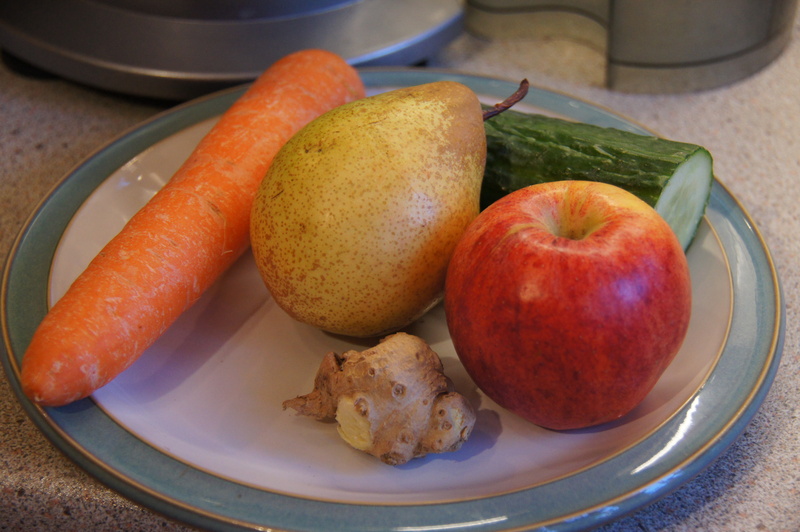 This entry was posted in Breakfast and tagged apple, carrot, cucumber, dairyer, ginger, glutenfree, health, juice, juicer, pear, vegan, vegetarian. Bookmark the permalink.